Resisting arrest and obstruction of justice sounds like serious criminal activity, but sometimes, a person is just frightened or confused about the officer’s intent. In the heat of the moment, a little panic may compel him or her to flee or resist the officer’s instructions or actions. 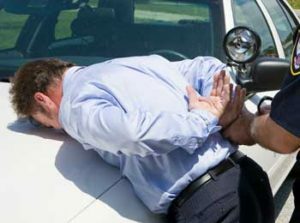 You need an experienced criminal defense attorney immediately to help you determine if the officer illegally arrested you or to assist you in establishing your defense case. According to O.C.G.A. § 16-10-24, anyone “who knowingly and willfully obstructs or hinders any law enforcement officer in the lawful discharge of his official duties is guilty of a misdemeanor.” This also applies to running away or hiding from the officer as well as resisting arrest. For example, you could prevent the police from handcuffing you if you fold them tightly across your chest and refuse to cooperate. If you’ve been charged with obstruction of justice, you could be convicted of a misdemeanor, which could result in a year of less of prison and/or a fine of no more than $1,000.00. If you resist or obstruct by threatening or doing violence to a law enforcement officer, then you could be convicted of a felony. An officer can be a “prison guard, correctional officer, community supervision officer, county or Department of Juvenile Justice juvenile probation officer, probation officer serving pursuant to Article 6 of Chapter 8 of Title 42, or conservation ranger.” A felony charge can result in imprisonment between one and five years. For you to be convicted of an obstruction charge, you would have had to resist or have tried to prevent your arrest in some manner like not cooperating with instructions, fleeing, or striking the officer. Calmly and politely disagreeing with the officer or simply remaining silent would most likely not result in a charge. The officer must be fulfilling the capacity of his or her job at the time of your obstruction. In other words, the charge would not apply if the officer were off-duty at the time. One instance in which you can resist is if you’re being unlawfully arrested – an arrest made without probable cause or a warrant. You may also resist if the officer is overly violent, but you may only apply enough force to subdue him or her. You also cannot continue to beat an officer if you already have him or her subdued. You should, however, let common sense dictate resisting arrest by using Attorney Dean Phillips in court instead of your fists on the officer. Most of us are familiar with the Miranda rights. When you’ve been arrested, use your rights to protect yourself. Remain silent and when you are offered the chance, call Attorney Dean Phillips. Let him assess your case and then build your defense. Mr. Phillips can represent you if you were charged with obstruction of justice (resisting arrest) in Marietta, Cobb County, Paulding County, Bartow County, Acworth, Austell, Powder Springs, Smyrna, Kennesaw and Woodstock. For a free consultation on your criminal defense case, call 770-415-0933.